When Abraham Maslow published a paper on the hierarchy of basic human needs in 1943, the theory only states four (4) needs that must be met before self-actualization can be achieved, i.e. psychological, safety, belonging, and self-esteem. 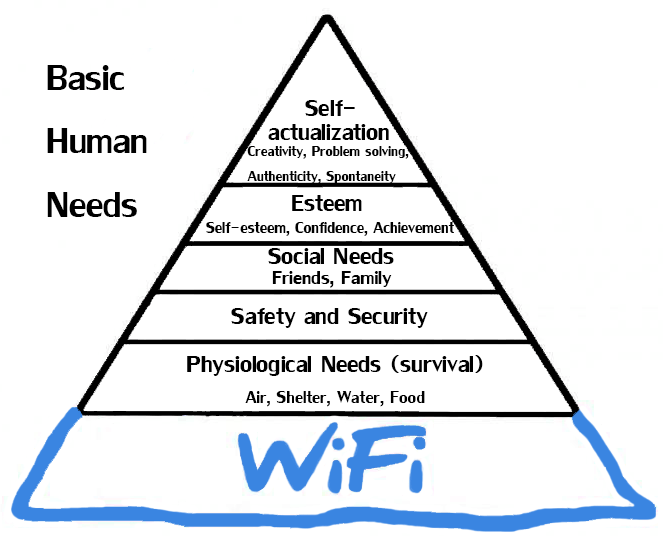 However, considering with the current trends and technology advancement, Maslow’s theory needs to be modified by including WiFi as part of human needs to complete the whole self-actualization. Whether you admit it or not, WiFi has been part of our life. One has to access to a reliable WiFi connection in order to log on to their Facebook, Twitter, Instagram, and to check notifications from their social messagers. Naysayers, we’re addicted to the Internet which in turn affect our ways of interacting, and communicating with other people. Ada gosip baru? Tiada masalah, Whatsapp kan ada. As WiFi emerges as part of human basic needs, many business owners are weighing their option whether to give free WiFi or not. Customers, on the other hand, would always consider their option of place to go based on the availability of WiFi access. I guess in most cases WiFi is a need for the business because there’s a demand for it. They need WiFi to compete with each others. Quality WiFi really help in the growth of the business. FREE Internet, 24/7 on your smartphone. No kidding! But, how about giving a free WiFi access at home? I have encountered a few people who come to my home and asked for my WiFi password straight away. I admit that a few of us would not hesitate to ask for WiFi password, but is that ethical or morally acceptable? I feel a bit offended when they are invited for a dinner but then they only asked for my WiFi password as I thought the dinner should be a face-to-face conversation, and get closer. My expectation and intention crumbled to the ground. Yes. I don’t think it’s morally acceptable, unless you’re staying there for a couple of days (or probably a week or a month) and you need Internet connection to do your things. Please do not ask me for my WiFi password if you’re just hanging for a few hours. If you’re thinking that you’ve always reached your Internet quota, then you might have to consider these few packages offered by major local telcos. Jangan tamaha. You totally deserve to get way more data on your phone for a low price. 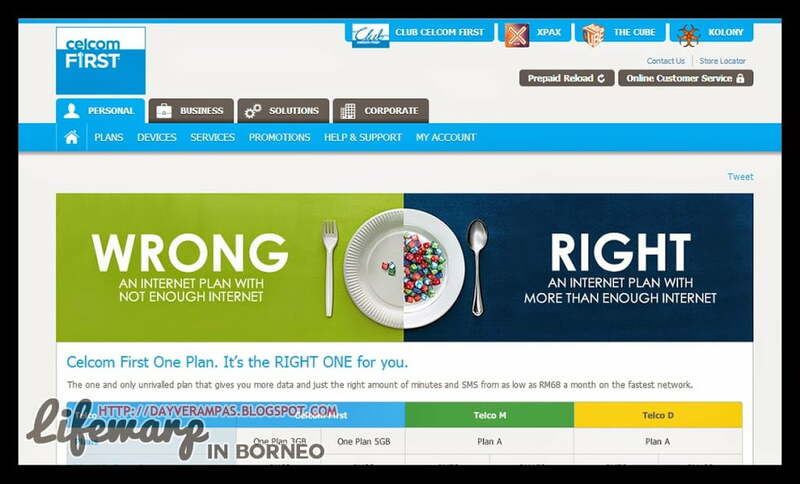 For more details about Celcome First One Plan, click here. 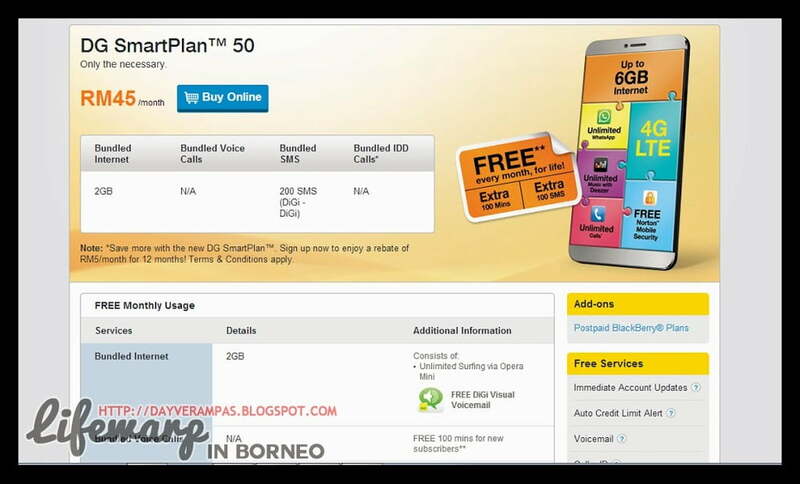 For more information on DG SmartPlan, click here. For more details on this plan, click here. 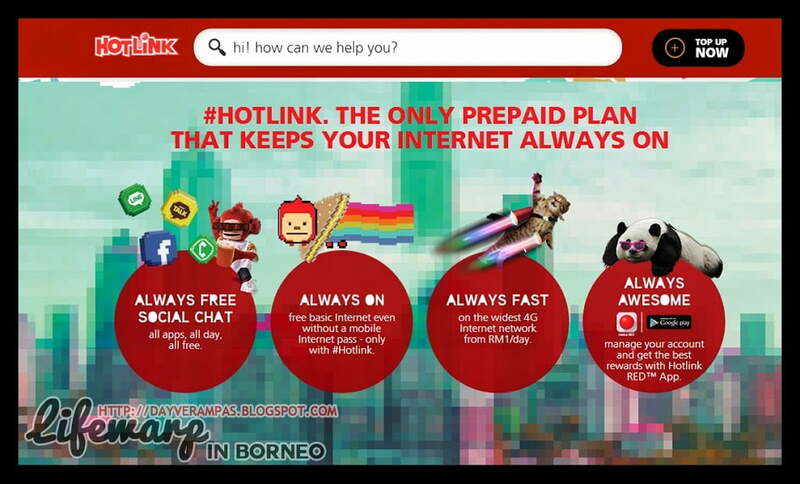 For more information on Hotlink new plan, click here. 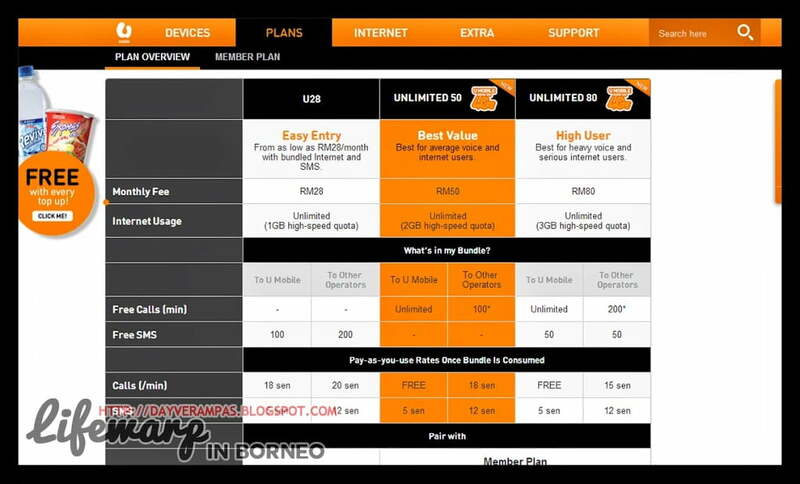 For more information on Umobile Unlimited Plan, click here. If you are an Internet addict, you will understand how priceless this is! What are your thoughts?